As a large number of people visit shopping centers every single day, the chances of theft and unwelcome incidents are quite high and such incidents can occur at any time of the day. This is why securing the entire shopping center, making the visitors and employees feel safe and, most importantly, maintaining a pleasant shopping experience for the visitors should be taken into consideration while planning a security strategy for a shopping center. Keeping such a large area protected is becoming more and more challenging with each passing day as there are innumerable untoward incidents that can happen at any time. So what steps should be taken by shopping centers to eliminate any kind of hazardous situations? Here are three tips to minimize the chances of any kind of chaos or unwanted incidents, to bring peace to the minds of people, and to ensure shopping center security. There is no denying the fact that the majority of crimes at a shopping center occur in the parking lot when people are getting into or coming out of their cars. In order to prevent the visitors from such incidents, it is the duty of the shopping center’s management to hire a professional security guard service with experienced professionals who will keep an eye on everyone and will take action at the first sign of suspicious activity. Security guards hired from a top-notch firm are trained to take everyone’s security seriously and ensuring it with their all. 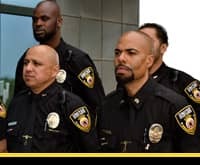 They take a proactive approach, i.e., they take care of the most vulnerable areas of the lot and plan ahead to determine how they are going to deal with certain situations so that they can lower the chances of any kind of crime occurring. Security guards who are equipped with high-quality ammunition play an integral role in preventing visitors, shoppers, and shopping center personnel from any security mishaps. On top of that, if you use the top security system for your shopping center that is also up-to-date, the crime rate will definitely remain at an all-time low. Installing high-quality cameras capable of delivering quality video footage is also of utmost importance. With such security cameras, you’d be able to record every activity that occurs in every corner of the building. This will prove to be helpful in monitoring the scene and catching a potential culprit through face detection. These are just some of the systems you can use to ensure shopping center security. During weekends (and even otherwise), shopping centers tend to get really crowded, which increases the chances of crime. In order to avoid that, opting for a patrol security service is ideal because it is able to cover a large area. Top-notch vehicles with trained security guards are offered by the best companies, enough to protect the interior and exterior of the shopping mall. The guards who are part of such a service are highly competent and observant and prevent a criminal activity from happening even before it does. Make sure you don’t accidentally distress or harass customers who may just be passing by or accidentally looking suspicious as this is bad customer service. You can learn more about self service by visiting the Salesforce website as most shops operate in a self-service format! Things can take a turn for the worse at any moment in a shopping center, so make sure that the security measures you opt for are the best in the context of the location and your specific requirements. In this way, any alarming situation can be handled without any hassle and people can experience a safe and relaxing shopping experience. This extends to the cost of the buildings energy costs as well. A local business owner was telling me about how important it is to have the right energy quote. This is because the extra money that would of been spent on bills can go towards security measures. This friend mine found his fantastic quote through Usave.